At an employee Q&A session with American Airlines top management last week, an Airbus captain asked about cleaners getting onboard while passengers are trying to deplane. He described cleaners as “invading that space.. I’m sometimes in the cockpit, the bathroom door is open I can’t even get out of the cockpit.” This pilot says he can’t say goodbye to customers, and customers don’t like the intrusion. It’s a balance of course, we’re always fighting for time but.. it doesn’t help if they’re standing there waiting for people to deplane, that doesn’t give us any more time… it’s with the best intentions, we’re not trying to throw garbage bags in front of you.. but we’re also trying to make sure we turn the airplane as fast as possible. So we’ll keep working through that balance. Airlines are frequently just trying to get the plane cleaned quickly, perhaps even more quickly than usual. Airlines don’t make money when planes are on the ground. They want to turn planes around quickly much of the time. And it’s not just about how much a plane flies each day, but what departure times are offered. Passengers want to fly at certain times. Just lengthening the flying day to provide longer ground times doesn’t work, because customers who want to fly at 7 p.m. aren’t going to take an 8:30 p.m. flight instead. Airlines want to make up time when flights delay. Maybe 50 minutes are scheduled on the ground, but if a flight arrives late they want to turn the aircraft around in 30. When one flight delays, it messes not just with the schedule of the next flight but with everything the rest of the day that the aircraft is going to do. If the first flight of the day delays, that may delay 5 more flights if segments are short. And those delays cascade across the system because it means the aircraft will be using gates at downline airports at different times than scheduled, too. Southwest Airlines began commercial flights in 1971. They quickly lost over a million dollars, and had to unload one of their four aircraft. To maintain their schedule they developed the 10 minute turn. Flight attendants helped prep for arrival getting luggage down out of the overheads. Passengers filed out one door while the next flight’s passengers entered through the other. 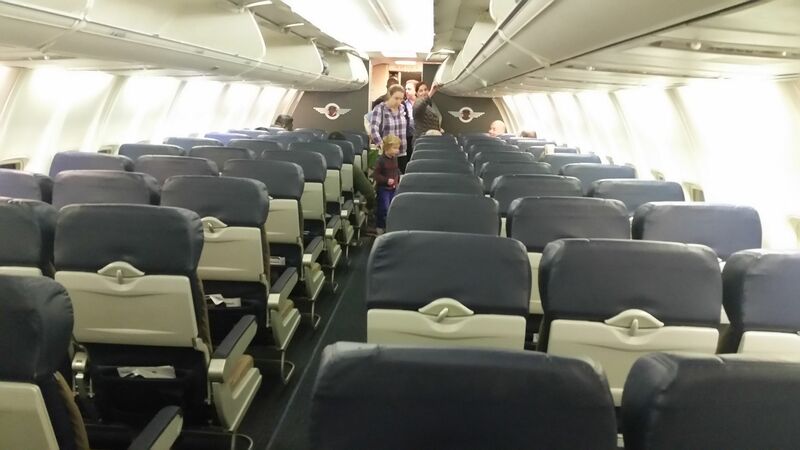 Today Southwest’s flight attendants pick up trash while passengers deplane. 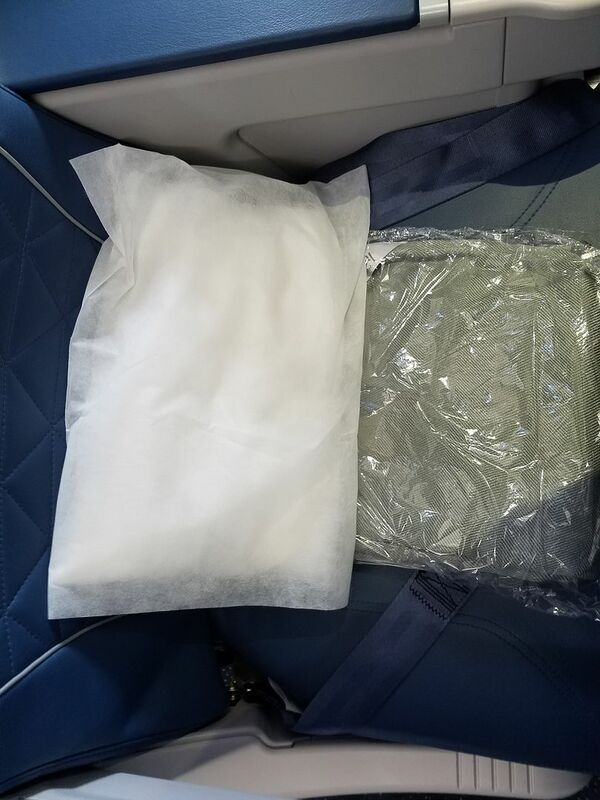 Contract cleaners aren’t always the most efficient or effective, they can block passengers getting off and those passengers — on the plane longer — can block cleaning efforts. As a result getting on too early may not save time. However I don’t ever want to criticize an airline for cleaning their planes, in fact I wish more extensive cleaning was done more frequently, US airlines have gone between deep cleans monthly to as long as 18 months. Airlines could schedule longer ground time for aircraft, but that’s expensive. I’m not sure that’s how I’d most want them to invest in passenger experience since it would ultimately mean buying more planes for the same flight schedule. Ultimately I’m just glad they clean the planes at all. Honestly, I feel like planes are, on balance, cleaner today than they were 20 years ago. I’m sure a big chunk of this is that average fleet ages are down, newer aircraft interior designs have fewer places to capture debris, the move to leather seats means less stained fabric, and, finally, the demise of meals in coach means less food being spilled. Glad they are cleaned at all? That is certainly lowered expectatipns. It’s part of the race to the bottom. Recently experienced long haul flights on multiple carriers in rapid succession, all in same cabin class (F). The differences between Emirates and Lufthansa and Cathay Pacific were minor compared with the wide gulf separating them from AA (HKG to DFW). It isn’t just the seating areas but galleys and lavs too. Even at their best the domestic carriers are shabby grubby yucky. I remember a time when I would dress UP to fly. Now I only wear clothing I wouldn’t mind throwing in the trash when I get home if I’m flying US carriers. The one exception is flights to Tokyo; those merit clothing that can be washed instead of trashed. I don’t get why they don’t roll up stairs, board from the rear, and work on cleaning up behind passengers who are deplaning. This would actually be efficient. They just get in the way otherwise. Hmmm, sounds like they could use a Far-UV Sterilray Disinfection Wand when it becomes available in the 3rd or 4th quarter of this year. The only technology that could disinfect cabins, seats, tray tables, bathrooms, crew quarters, and galley in seconds. Dry, chemical free, instant on and safe!